Ryan Connelly came up with the logo and whole idea for Ryberto's Burritos. Did some of my own DIY takes on Ryberto's Burritos. Here's the front of my creations. 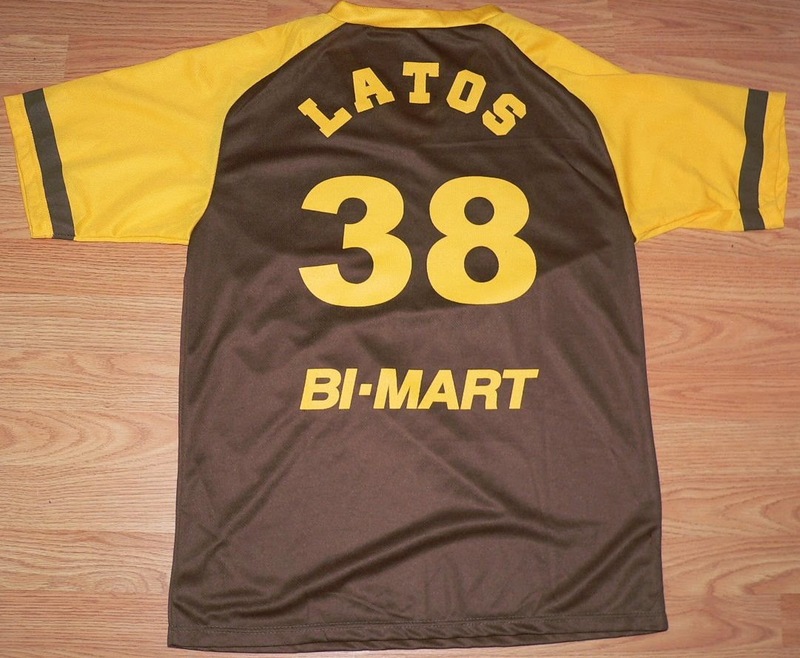 First one started off with this Ebay purchase and stripped the front patch and made a Ryberto's 'R', and stripped the name off the back. 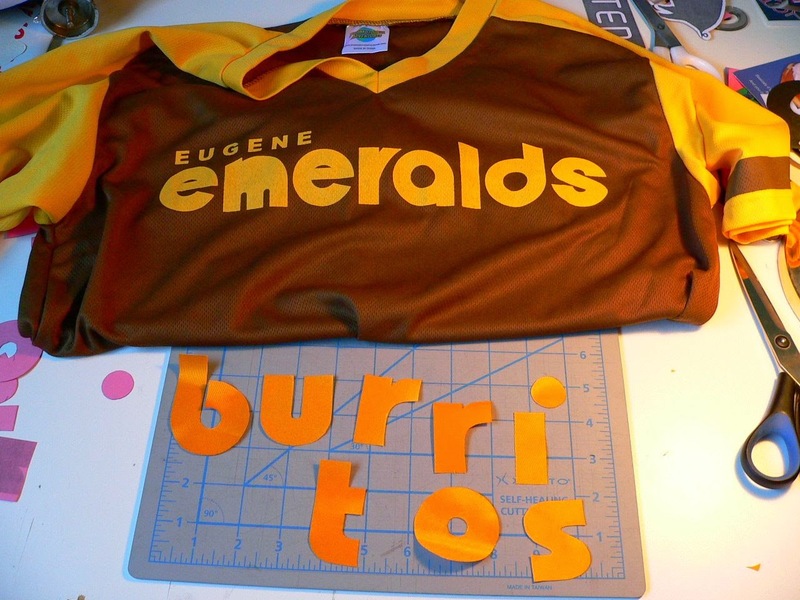 On the back cut out 'Ryberto's Burritos' in twill and sewed on. Font used was Sancreek. The next one I did was the white jersey. Got a blank white jersey from Liquidation World. 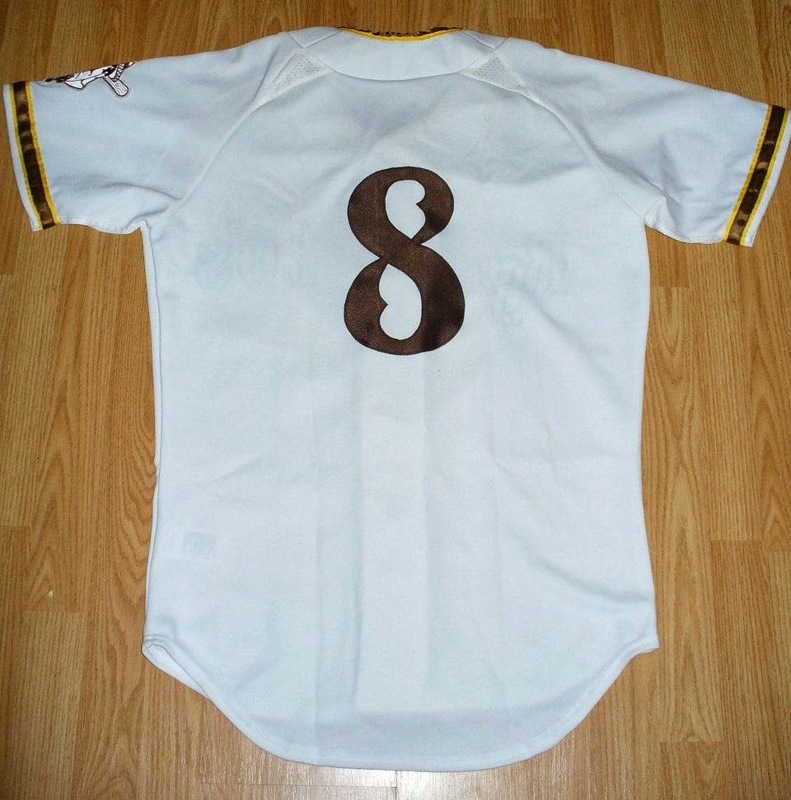 The font I used for this jersey is also Sancreek. Used ribbon from a fabric store for the stripes, tackle twill for the name and number, and the arm patch came from Ryan Connelly. Here's the back. 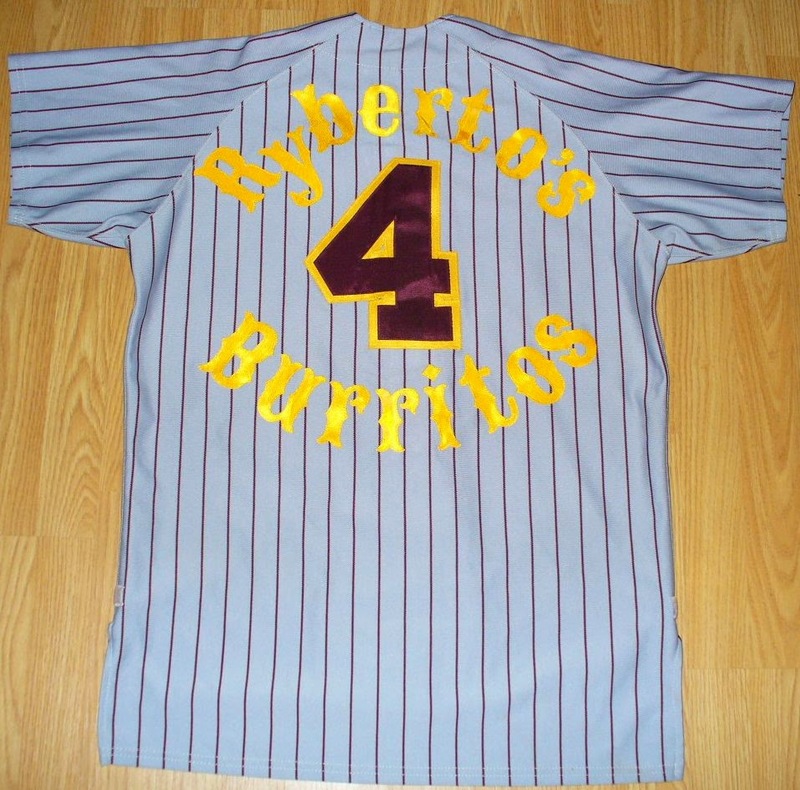 The final Ryberto's jersey was originally an Ebay purchase. Specialty day? or fan giveaway? of a Padres affiliate - Eugene Emeralds. Here's a before shot when I had the burritos cut out but hadn't sewn anything on the jersey. The font is Baron Black DB - I found a closer font to the '78 Padres one but liked this one better. The front number font was a slightly modified Ornitons Serial-XBold to get it close to the number font already on the back. The first cap I did was the padres bell style hat. Cut out some gold twill for the bell shape and took the top button (Squatchee) off another cap and switched it with the one originally on the brown cap.